Local disciples, priests, and teachers donate their time and are not compensated for their service. Donations in any amount are gratefully accepted. 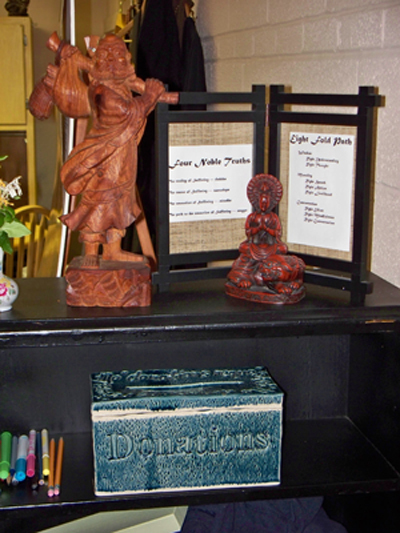 Should you wish to contribute, you will find our Donations box located on the library shelf. You can also mail your check to our mailing address. Please make your check payable to the Southwind Sangha. Contributions to the Southwind Sangha, a 501(c)(3) religious organization (EIN: 20-0490262), are deductible from taxable income as provided by law. A letter will be sent to you in January for tax purposes that will acknowledge the amount of your donation for the previous year.